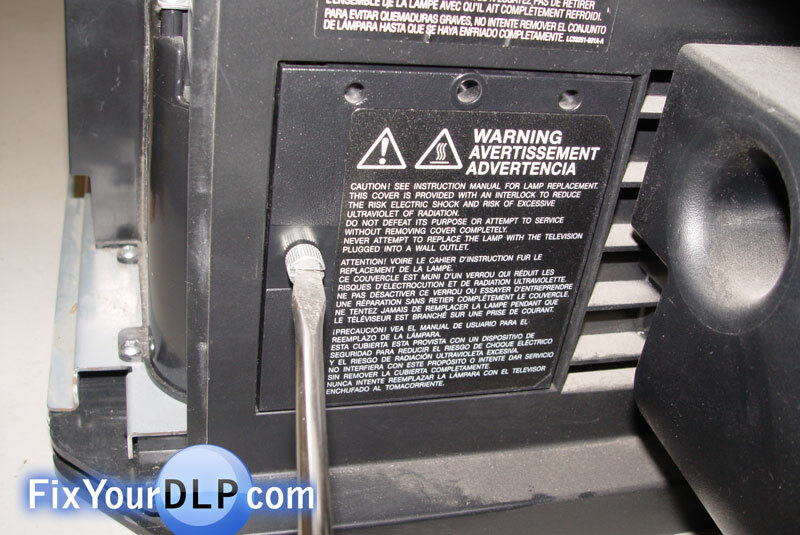 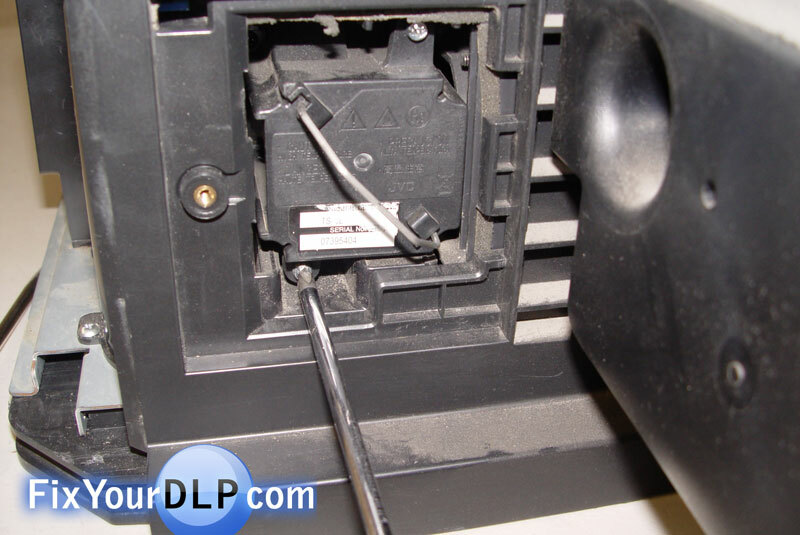 Home › Manufacturer › JVC D-ILA › How to replace JVC TS-CL110U lamp enclosure for your projection TV. 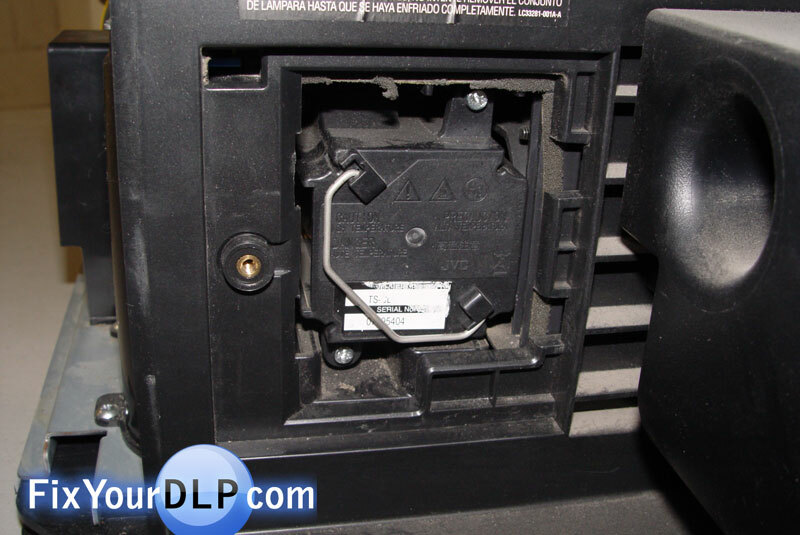 Step 2.- On the back of your TV locate the lamp door on the left side. 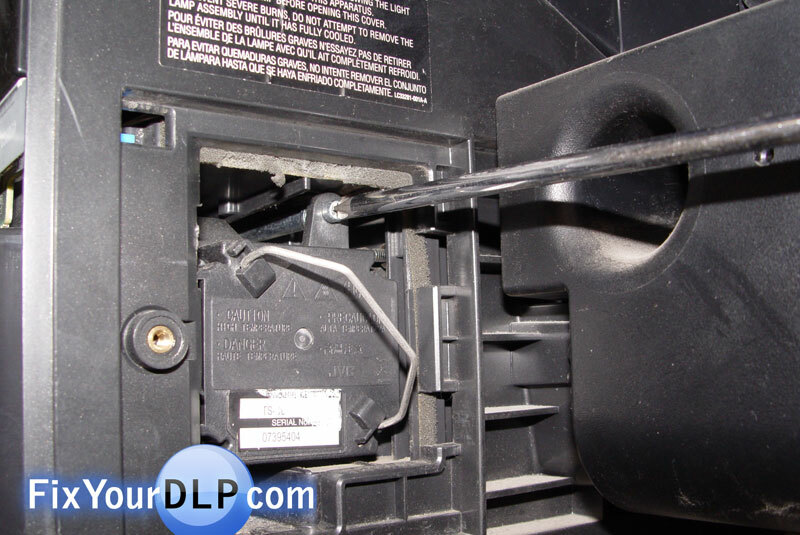 Use a flat screw driver to unlock it and remove it. 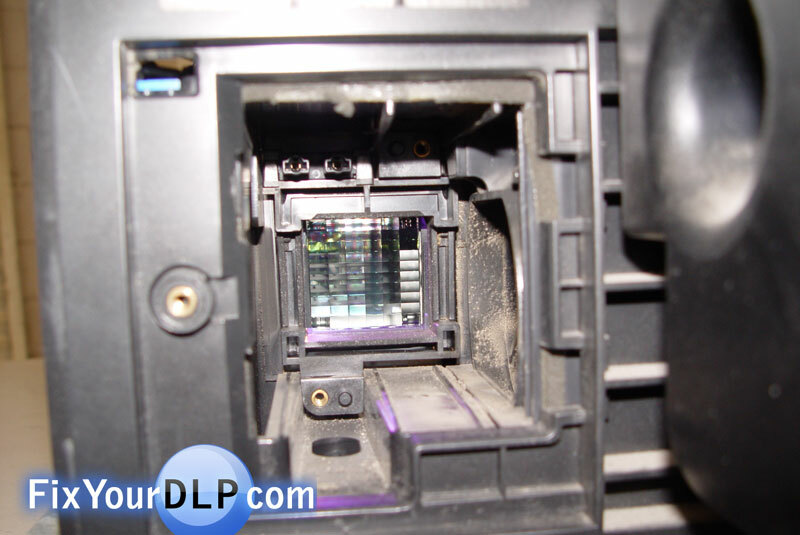 The inside will look something like this. 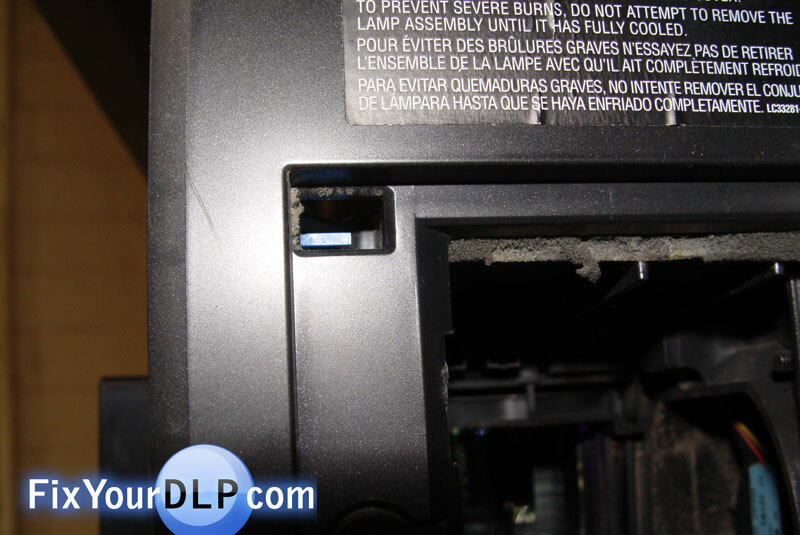 Step 5.- Place the new enclosure inside. 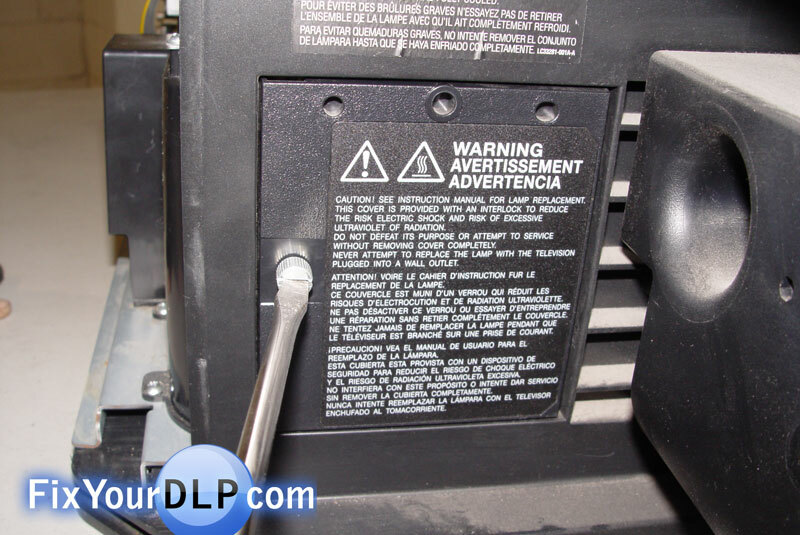 Secure it in place using the screwdriver. 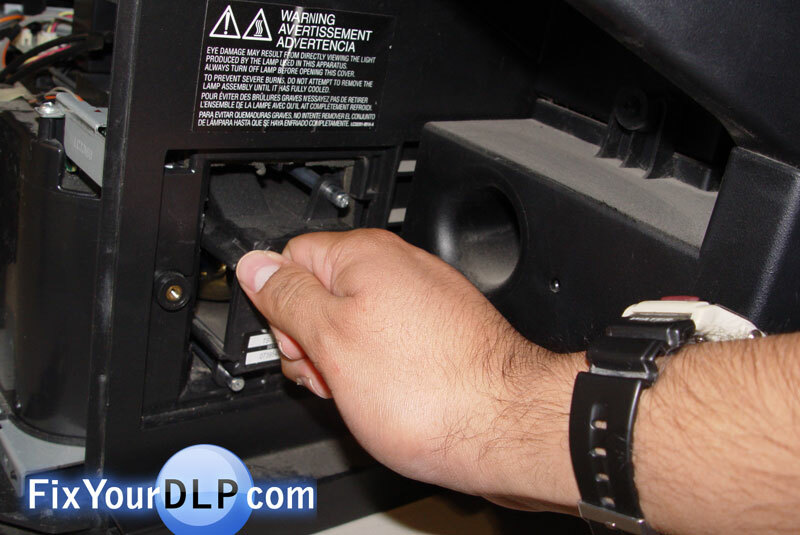 Step 6.- Place the lamp door before trying to turn the TV, that’s because there is a blue switch that needs to be pressed in order to turn on. 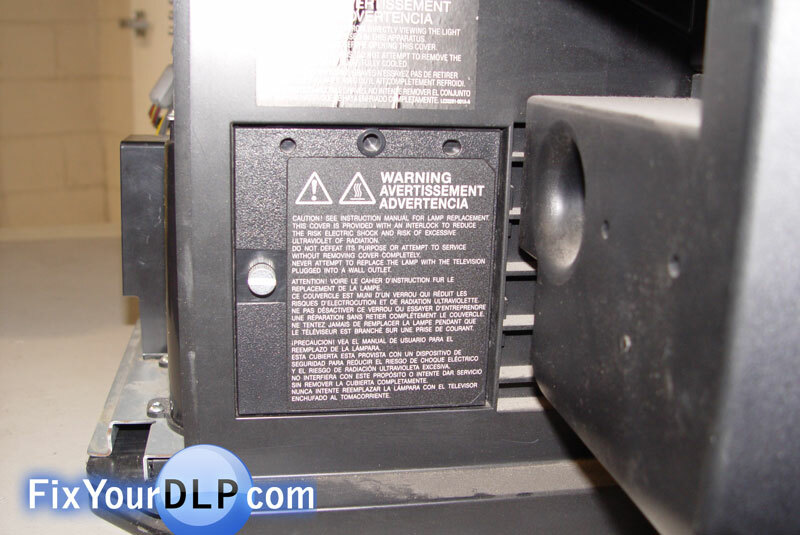 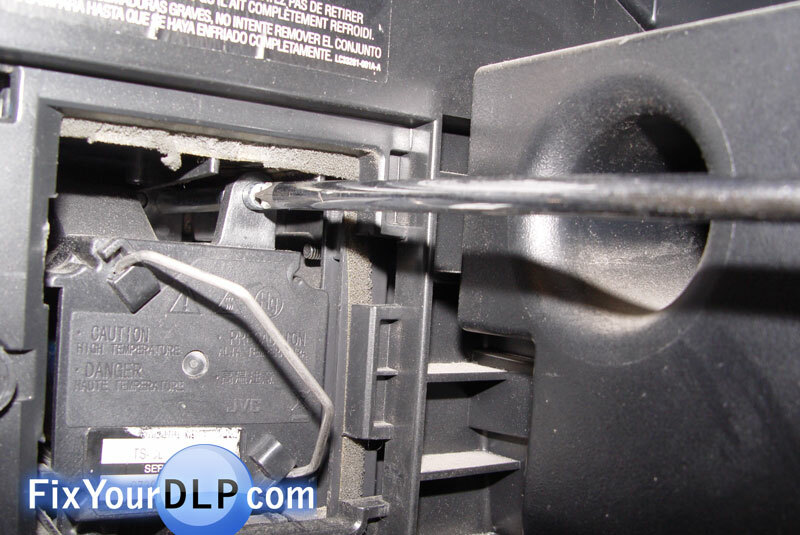 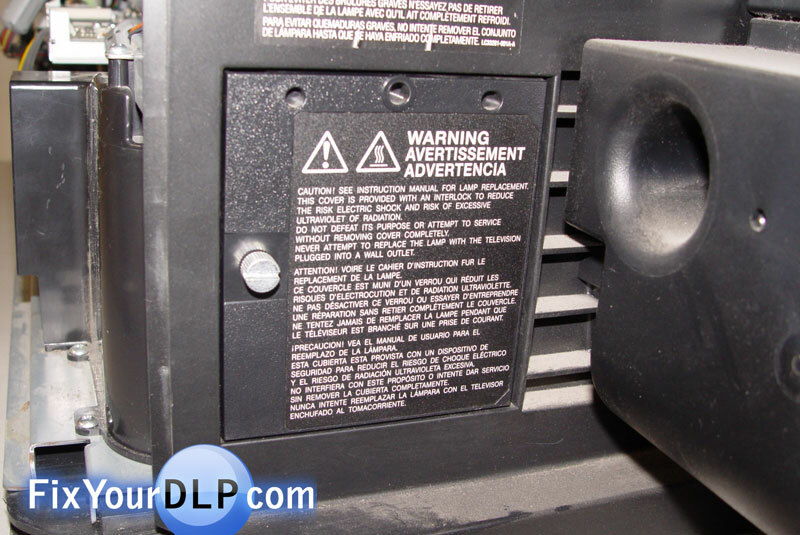 ‹ How to replace Sony XL-2200 lamp enclosure for your projection TV.